As new post-2015 targets and strategies to end preventable maternal deaths are being discussed and debated, we have the opportunity to leverage the progress made over the past decade by scaling up proven interventions that save the lives of women and girls. Deploying these interventions through an integrated delivery strategy that addresses all aspects of maternal and reproductive health will be crucial to saving the lives of more girls and women going forward. Related to this, the integration of family planning and maternal health services has received much needed attention, with efforts underway to better link family planning with antenatal care, postpartum care and HIV services. One key service that deserves more attention for its unique ability to expand access to family planning and other services, particularly for marginalized women and girls in rural communities, is post-abortion care (PAC). Post-abortion care is the clinical management of complications caused by an induced abortion or miscarriage. It entails immediate treatment of complications, as well as follow-up counseling on contraception use as a means of breaking the cycle of repeated unwanted pregnancies and improving the overall health status of the girl or woman. It is a service typically sought out in crisis, when the girl or woman is at risk of death or serious injury from excessive bleeding or infection. For girls and women in developing countries, post-abortion care may be their first and only interaction with the healthcare system. This visit can therefore be an important opportunity for providers to assess health needs and offer other appropriate reproductive health services. It is essential that PAC services be easily accessible, high quality and youth-friendly. Providers at varying levels of the health care system should be trained to treat girls and women correctly, without judgment. 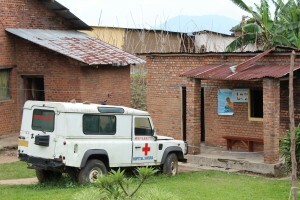 As a critical emergency service, PAC should be integrated into any menu of maternal and reproductive health services; given that it may also be the entry point for girls to access reproductive health services at all, it is important that providers take the opportunity to offer other relevant counseling and services at the point of care. 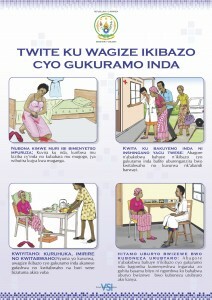 Ensuring that a young girl receives high-quality post-abortion care can introduce her to the health system, and help her to feel comfortable coming back for other services, thus allowing a one-time visit for emergency care to be the first step to her becoming a lifetime user of family planning services offered by her local clinic or hospital. Research has demonstrated that postabortion care can be safely and effectively provided at the lowest levels of the health system by primary care providers. Consequently, it is a package of services that can be scaled up to reach a country’s most rural peripheries. Nurses in Rwanda, primary care nurses in Zimbabwe, and nurse assistants in Angola have been trained to effectively provide PAC services, treating women and girls with either misoprostol or manual vacuum aspiration, and providing contraceptive counseling and methods. Providing these critical services closer to women’s homes reduces the cost and time required to travel to higher-level facilities for care, which can ultimately save more women’s lives. In setting the maternal health agenda post-2015, post-abortion care should be prioritized as it furthers the goal of health equity. Post-abortion care offers a critical window to provide women and girls, many of whom have few other opportunities for entering the health system, with access to contraception, HIV prevention, and STI services. Given this, the maternal health community must seize the opportunity to expand this high-impact intervention, integrated with other services, to rural, hard to reach areas. As a key component of the post-2015 framework, post-abortion care can increase access to services for vulnerable populations and ultimately, help to decrease maternal death and disability. 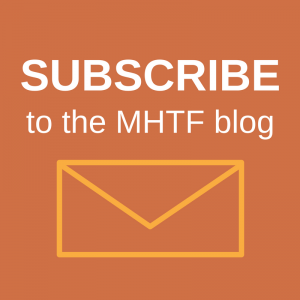 As we approach the 2015 deadline for the Millennium Development Goals, what does the future hold for international maternal mortality targets? 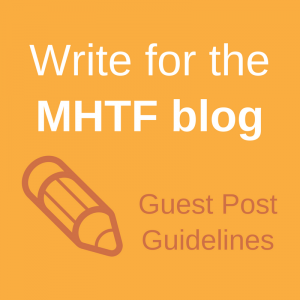 The MHTF is pleased to be hosting a blog series on post-2015 maternal mortality goal setting. Over the next several weeks, we will be featuring responses and reactions to proposed targets from around the world. Please share your thoughts with us!